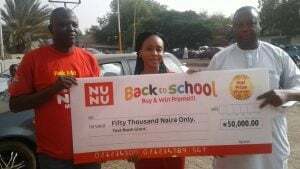 A big thank you to all our Nunu Mums and Dads who participated in the Back to School Raffle Draws. 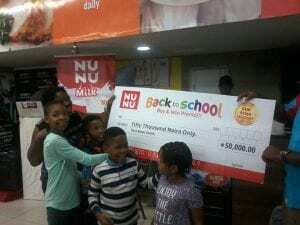 The Back to School campaign was an offline ‘buy & win’ promo, where fans were encouraged to go to select stores to purchase N1,500 worth of Nunu products and win instant gifts. 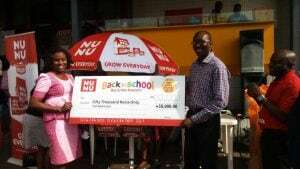 Some of these instant gifts included school bags, math sets, water bottles and so on. 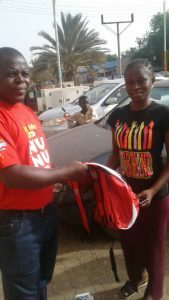 Fans online weren’t left out. They got the chance to participate in fun activities like Guess The Book and spelling out Nunu with books. 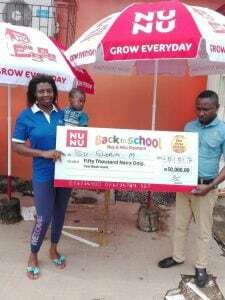 Even our brand ambassador, Omoni Oboli, got other mums involved. 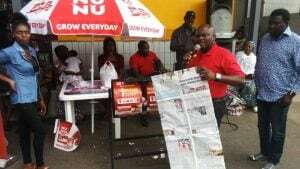 Other locations included Abuja, Kano, Port Harcourt and Illorin.